With home values improving across the nation, it's still important to squeeze out every penny of value you can get for your home. Here are 5 strategies that you can use to increase the value of your Tallahassee home. Pursue them all, or pick and choose. Make these savvy changes, and you'll see more money at the closing table. Emphasize the space and simplicity of your house. Personal belongings are just that - personal. They are not part of the house. Car dealers don't sell new cars with fuzzy dice and accessories, right? Market your house the same way. Remove the personal belongings that get in the way. Leave the basic furnishings and features that show your house to its best potential. Spotless sells. Buyers pay more for new homes because they are clean and unblemished. The closer you can make your home to a new home, the more money you will reap. If you are not the best cleaner, hire a reputable service, usually for under $300. Re-Decorate for the mass market. Your house may reflect your own fabulous personal style. Your friends may tell you how much they love it. But not everyone may want to live with that particular style, and most buyers cannot see past what is actually in the house. Redecorate your house to appeal to the largest number of buyers possible. This is what "Staging" is all about - marketing to the masses. 2. Fix and Repair You may have become used to that leaky kitchen faucet or the scratched kitchen sink, but a buyer will notice it right away. Small repair items make a buyer wonder what bigger issues your house has. 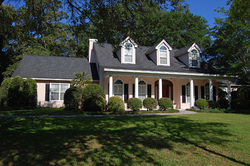 Have your home pre-inspected by a certified home inspector. Older homes often have unseen issues such as a grounded electrical outlet or a small roof leak. Get these fixed beforehand so the buyer will feel secure that the house in in top condition. Top condition always brings more money. 3. Upgrade and Remodel Upgrading and remodeling can be tricky. Carefully select the projects that will have the greatest impact on your home value. Mid-range kitchen remodels, new exterior decks, and master suite expansions consistently bring high paybacks. On the flip side, special features like swimming pools rarely return their costs, particularly in Tallahassee. Make sure the upgrades you make flow with the rest of the room: for example, adding granite kitchen countertops but leaving the 1970s wood cabinets will only frustrate a buyer and not add value to your home. 4. Eliminate Functional Obsolesence If your house was changed from a 3 bedroom to a 2 bedroom home, change it back. A 2 bedroom home in most neighborhoods is a good example of functional obsolesence. Another typical Tallahassee example is an older masterbathroom with no shower or tub. Improving obsolete features can dramatically boost your value. Of all remodeling projects, fixing obsolete functions in your home will bring the highest increase in home value. 5. Improve Your Neighborhood You can have a great home, but if the neighborhood entrance is unappealing or the neighbor's yard has knee high grass, buyers will have second thoughts about your home. This is not always easy to tackle. If there is an eyesore in your neighborhood, work with your homeowner association or local code enforcement to find a solution. Ask your neighbors to keep their lawns clean and neat. You may even consider paying for a neighbor's lawn service to help. It may earn you several thousand dollars in return!